Caring for each other — as well as others in need — is an essential value here at First Unitarian. Everyone is part of the Caring Network at First U. We are a community; we are a family; and we look after each other, guided by our Seven Principles. Taking care of one another is a spiritual practice. The Caring Network is one way of practicing. The Caring Network includes the Care Crew, Phone Buddies, Deacons, Membership, Women’s Alliance, Mindful Grieving Group, Chalice Circles, the Men’s Group, and really all of us. To make a request of the Caring Network or to volunteer, call the church office. Care Crew is ready to assist members of the community facing illness, recuperation from surgery, and other needs. The Care Crew also assists with errands, rides, home visits, cards, and calls. 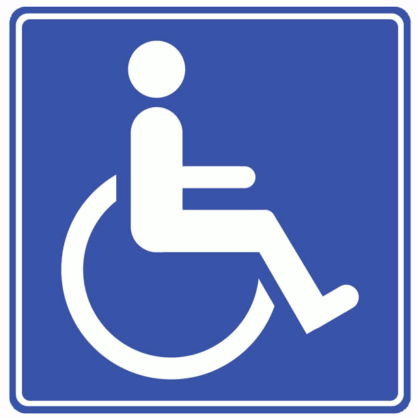 Members warehouse medical supplies for people who have orthopedic needs for safety at home and on our church campus. Meal Train provides meals on a short-term basis to those who are ill, recovering from surgery, or have special family circumstances. The Meal Train is composed of members of our church community. Phone Buddies has been initiated for those who live alone and would like a daily contact to make sure of safety and well-being. Anyone who would like to receive or give a call can join Phone Buddies at any time. Through a generous donation by a member, two Automatic External Defibrillators (AED’s) have been purchased and installed on the church campus. A group of church members has taken Red Cross training to use them. Our caring network is in a process of transformation this year as we seek to bring more trained caregivers into the mix by starting a Lay Ministry program and working to add to the pastoral care available from Rev. Liz. Our Care Crew will still be active and available to help with logistical needs: rides, meals, errands, and so forth. Our Lay Ministry team will be geared towards offering trained, peer ministry: visiting the homebound, meeting with First U’ers going through a difficult time, visiting members and friends of First U at home or at the hospital during an emergency. 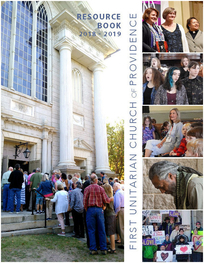 More information on the evolution of our First Unitarian Caring Community will be available throughout the year. In the meantime, if you need help, please reach out to Rev. Liz or any member of the First U staff team. Did you know that thanks to generous donors from our church, we have an endowed pastor’s fund? This fund is available to provide confidential financial assistance to active members and friends of the First U community who might need short-term emergency funds for urgent needs, such as to cover a rental payment or a fuel bill in winter. If you are in need, don’t hesitate to let us know; we are glad to help. Please contact Rev. Liz directly through the church office or by email at min@firstunitarianprov.org.